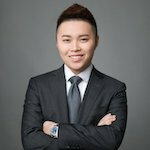 Vincent Yiu is a professional red teamer who has been involved with long and mid-term adversary simulation engagements for many large enterprises across the UK and US – across many industries. He is a strong believer of the “attacker mindset” and contributing to the red team community. He has written and released a variety of relevant tools and research over past couple of years mainly aimed for red team professionals but also has advanced the blue team in detection and response. He maintains and occasionally tweets Red Team Tips on Twitter (@vysecurity).